Posted on December 11, 2017 at 5:00 pm. Casino-Mate is offering mid-week match deposit bonuses to all of its registered members every Tuesday and Wednesday. This is a no-frills offer that’s easy to claim. 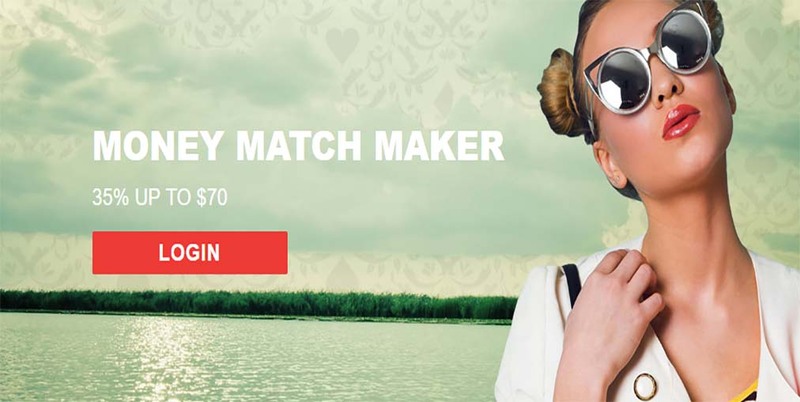 Casino-Mate’s Money Matchmaker Tuesdays lets players claim a 35% bonus up to €/$70, with a minimum deposit of €/$20 required to be eligible for the offer. Casino-Mate’s Surging Bonus Booster Wednesdays adds extra weekly value by allowing players to claim a 25% bonus on their deposit of at least €/$20 or more, or a 50% bonus on their deposit of at least €/$150 or more. Both of these offers are ongoing promotions at the site and can only be claimed by users with registered accounts. If you haven’t already signed up, you can register an account with Casino-Mate here to claim an exclusive welcome bonus of up to €/$1,400 in matched deposits and 20 free spins when depositing for the first time. Currently, Casino-Mate hosts over 550 online slots and table games created by the online casino industry’s best game developers, including BetSoft, Pragmatic Play and Quickspin. Because Casino-Mate is a no download casino site, you don’t even need to download any special software to get playing – you can access and play all of its games via your computer or mobile device’s Web browser in a flash. Read our verdict in our Casino-Mate review. What are the Casino-Mate bonus wagering requirements? As with all bonuses and promotions offered at online casinos, Casino-Mate’s offers come with stipulations to prevent players from simply taking advantage of the deals and then ditching their accounts once the bonus money has been claimed. Both mid-week offers at Casino-Mate.com come with a 40X wagering requirement wagering attached, meaning you have to play through your total amount of bonus money the specified amount of times before you can withdraw your winnings. All games on the site contribute to the set wagering limit at different rates, so please check the bonus terms and conditions prior to playing and making a deposit. For example, slots contribute 100% towards your playthrough rate, while live dealer blackjack and roulette count 10%. All bonuses will expire after 30 days, so make sure to use them before then. Unfortunately, players from the following countries are unable to claim bonuses from Casino-Mate at this time: Albania, Algeria, Azerbaijan, Bosnia and Herzegovina, Central Africa, Croatia, Georgia, Poland, Croatia, India, Pakistan, Indonesia, Portugal, Serbia, Latvia and Thailand. If you are visiting from any of the aforementioned regions or you’re looking for another top-rated site with similar bonuses and promotions, we highly recommend checking out Bovada Casino – you can find our in-depth reviews on the best real money casino sites on the Web in our provided links.